Mike Mitchell says that Sky High 2 was going to be called Save U, which is Save University. The heroes were all going to graduate high school and movie up to college, but the first movie didn’t do as well as Disney had hoped it would. The movie had a budget of $35 million and only ended up earning just over $86 million worldwide. However, reviews for Sky High were generally favorable and the movie saw some success when it was released on DVD. Disney had a plan to make a sequel before the first movie was finished. While out promoting The Lego Movie 2: The Second Part, Director Mike Mitchell revealed just exactly what those plans were, and there was a lot more than just a sequel in the works. Mitchell had this to say about what the sequel would have been about. It’s been nearly 15 years, so one can’t really see Disney going on to make a Sky High sequel, especially since all of the young actors aren’t so young anymore. When the sequel idea was shot down Disney continued with a plan that would have expanded on the premise of the first movie and brought back nearly all of the cast. The second idea actually would have been a pretty cool project. Mike Mitchell explains. Sky High centered on a high school for superheroes and is considered to be an undiscovered gem 14 years later. The adults were shown as caricatures and the girls were shown as the most intelligent and more powerful than the boys. It was a great concept that sadly got overshadowed by larger productions. However, Mike Mitchell has said that Sky High, “was a dream,” because he was able to work with some of his cult heroes including original Wonder Woman star Lynda Carter, Kurt Russell, who played Snake Plissken in Escape from New York, and Bruce Campbell, who portrayed the iconic Ash Williams from The Evil Dead. 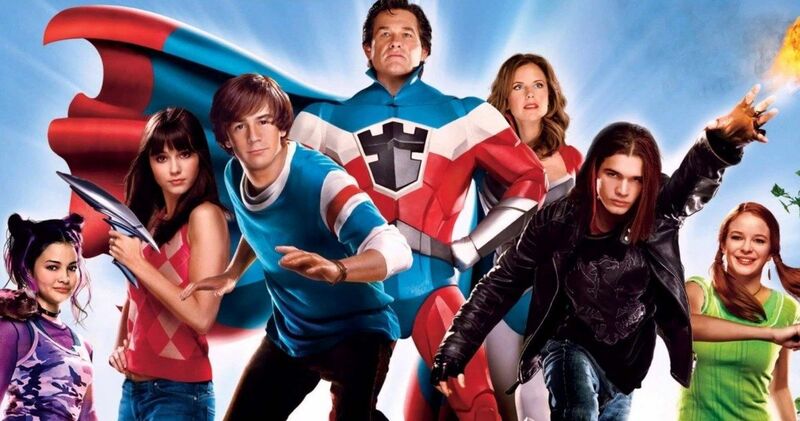 Superheroes are all the rage currently, so one could easily see Disney going for a remake of Sky High to further capitalize on their superhero success. If that does happen, a sequel is already written and ready to go, though it will more than likely need some tweaks to get it ready for the big screen. The interview with Mike Mitchell was originally conducted by Gizmodo.